It’s that time of year! Holiday shopping! It is officially the beginning of the insane shopping season in the US. This is a great time to pick up the items that you have been eyeing for yourself or for someone else at a discounted price. Online shopping is becoming a bigger player in the game so there are sure to be tons of deals that you can get even if you do not live in the United States. 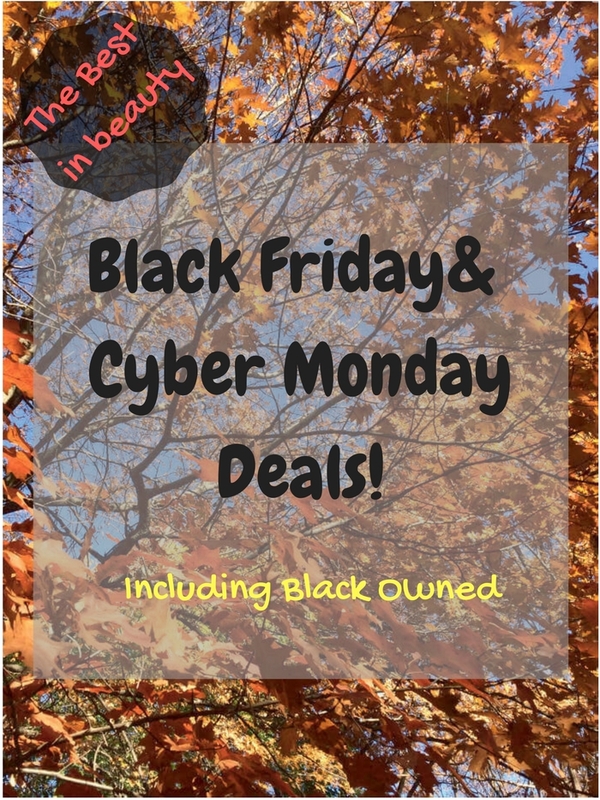 So….here are the Black Friday/Cyber Monday deals… Check back later as I will add new deals as I get them. Date: Begins Friday 25th November at 12am. Discount: Various. Free shipping on orders over $50. Date: Friday 25th November – Monday 28th November at 11pm EST. Discount: 20% off select headscarves, 30% off select jewellry, 50% off all clothing. Date: Friday 25th November – Monday 28th November. Discount: 30% off everything. Code: No code needed. Date: Friday 25th November – Monday 28th November. Discount: 30% off on Black Friday and BOGO on select Damone Roberts signature products on Cyber Monday. Online only. Code: No code needed. Date: Friday 25th November – Monday 28th November. Discount: 40% off + free shipping in the US for purchases over $50. Code: BIGBLACK2016. Date: Monday 28th November. Discount: 20% off of purchases of 1-2 products. Code: CYBER20. Discount: 25% off of purchases of 3 or more products. Code: CYBER25. Date: Now – Sunday 27th November. Discount: 25% storewide. Code: No code needed. Extended one more day to Monday 28th November. Date: Monday 28th November. Sale: 30% off + free shipping. Code: No code needed. Date: Now until….Discount: Up to 70% off selected lines at Liverpool, Leeds, London Beak Street stores and online at illamasqua.com. Date: Thursday 24th November – Monday 28th November. Discount: 30% off all Z palettes. Date: Friday 25th November – Monday 28th November. Discount: 20% all orders. Code: NO code needed. Date: Monday 28th November. Discount: 30% off. Code: No code needed. Date: Monday 28th November. Discount: 30% off. Code: No code neeed. Here are some of my lastest posts!